When I initially moved to NYC, I didn’t really understand how / what to recycle, and how to reduce my impact on the gigantic amount of trash NYC processes. I just threw everything away. Here are some tips I learned in the past two years that are not only ideally helpful for the environment, but also benefit the local community, your apartment, and even your wallet. Many Greenmarkets accept compost materials. Farmer’s Markets in NYC, “Greenmarkets”, often have a stand that allows you to drop off your food scraps. This allows you to save your food scraps in the freezer until you make it to a market (I use a plastic carton that was previously a container of spinach). This has a couple great benefits: your apartment smells better without food scraps in the trash and you don’t need to take it out in a hurry (using less trash bags), you contribute nutrients to local gardens / farms, and it is less material releasing methane in a landfill. Most markets also have textile recycling, which allow you to get rid of clothing in any condition. They sort it and donate the things in good condition for reuse, and claim to have some means to recycle the rest. There are alternative energy providers, often at Greenmarkets but also online, that provide sustainable energy, including a company that is 100% New York State wind powered. Local wind! The prices are often very similar, if not cheaper, than ConEd, so it can be a no-brainer. It is trivial to switch and you don’t have to change anything, and you still get a bill from ConEd. The way they set it up (which seems very elegant in some respects, if you can get over the abstractness of your usage), is that ConEd still monitors your usage, delivers your energy, and bills you at the new rate, but then they are required to purchase your kWh usage from the alternative company you choose. If your plastic doesn’t have a number “1” recycling symbol on it AND have a mouth less wide than the main component (a bottle shape), it gets sorted and thrown out by the city. However, it is still great to recycle these as the city sells what it does recycle, making a profit, instead of having to pay to remove trash. However for metals and glass, I think pretty much anything (hangers included) are fair game. Whole Foods and Co-ops allow recycling / reusing of many things the city doesn’t. If you have non-bottle-shaped #1s, as well as plastic bags, #5 and #6 plastics, Whole Foods and some food co-ops have bins you can deposit these in. I believe Whole Foods also has a book donation bin! While managing all of these may seem like a lot of work, it is fairly simple once you get into the habit. For example, there’s a Whole Foods adjacent to the Union Square Greenmarket, so you could bring your frozen compost container and recyleables in a reusable bag, drop them all off, and fill up the bag with fresh goodies (at the market, Whole Foods, or Trader Joe’s), accomplishing composting, recycling, and shopping in one trip! This entry was posted in Uncategorized on December 13, 2012 by Mike Rooney. One caveat before I start: I’m not an accountant and hardly an expert, so don’t take my word for it, especially since this will be my first year filing as self-employed. These deductions should apply to most business structures including Sole Proprietorships and S Corporations, though C Corporations get more complicated. I’m going to do a really shallow overview here, as this is all covered in great detail in the book “Deduct It! Lower Your Small Business Taxes”. If you are interested in learning more or taking any of the following deductions, the appropriate chapter in “Deduct It!” has everything you need to know. the deduction comes off the top of your income, meaning it saves you money at your marginal federal, state, and local brackets. being self-employed, you no longer have an employer covering half your medicare and social security taxes, so that’s another 6-7% that doesn’t get taken from what you deduct. Also, let’s not forget the “time value of money”: if you are able to use deductions to end up with $5,000 extra dollars in your pocket each year (roughly what I’m expecting) from age 25 until 65, and invest that at 7% in something like a Roth IRA, you’ll end up with a cool tax-free million dollars (that’s $1,000,000) by age 65. So if that has your attention, I’ll go over some of the top deductions I plan on taking for the 2012 tax year. This is perhaps one of the most powerful, but also most complex and controversial deductions, so I’ll grossly oversimplify it: if you work from home and can dedicate a portion of your home solely to a home office, you can deduct a percentage of your rent. For example, if you use 25% of your apartment for your home office, you can deduct 25% of your rent. This is definitely my biggest deduction, living in NYC. You can also apply this percentage to utilities, renter’s insurance, cleaning services, and other things that benefit both the home and home office. For things that benefit just the home office (paying someone to clean just the office, repairs to just the office, and such, are 100% deductible). Health insurance premiums are 100% deductible, though not (in practice) as a business expense. This is instead a special type of personal deduction which doesn’t require itemizing, but also isn’t a deduction for self-employment tax purposes. If you file correctly, you should be able to avoid paying any federal/state/local income taxes on your premiums. You can also look at setting up a medical expense reimbursement plan, which just requires a document kept on-record, and will allow the company to reimburse you for a very wide range of costs you’ll incur, deducting them as expenses. Any office supplies and equipment are generally fully deductible, and often without requiring depreciation over time thanks to Section 179. This means if you purchase a desk, monitor, and laptop solely for your home office, you can deduct the full costs of these as a business expense. This also applies to smaller things such as stationary, postage, et cetera. As consumers used to paying for things post-tax, it is quite profound to be able to pay for electronics pre-tax, and effectively pay 40-50% less for them. Don’t forget to deduct the cost of things like web hosting as well! You should also deduct the cost of any sub-contractors you might hire, or lawyers and accountants you hire to help you with your business, including tax preparation. 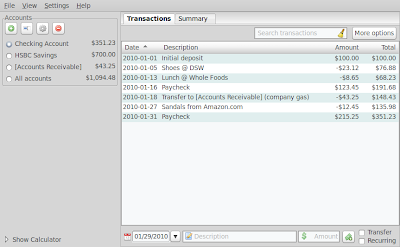 This also includes the cost of any accounting / bookkeeping software, as well as SASS such as Freshbooks.com. Generally, costs you incur to bootstrap your business are deductible, though it gets more complicated if they exceed $5,000. This would include any incorporation costs (including the CA ~$800 fee), costs of using something like legalzoom.com, and accounting / consulting services used. Okay, that’s essentially a whirlwind tour of some the most useful deductions I plan on taking! While I don’t need a vehicle here in NYC, if you have a car or travel to meet clients or perform work tasks, you should also definitely look into car and travel deductions, as those can be huge as well. Certainly let me know if I have any misunderstandings, or if I’ve missed anything important. This entry was posted in Uncategorized on December 1, 2012 by Mike Rooney. As part of the Blogpact, I thought it would be fun to do a short series on chocolate making. But first, I wanted to cover my favorite existing chocolate bars, and when it might make sense to use them instead of making your own. This list is pretty biased as I’m a dark chocolate fan, so I’ll be sticking primarily to 70% dark or greater bars, as they have a good amount of protein and fiber (and fat, of course), and are unlikely to result in a sugar crash if eaten for a meal. Plain dark chocolate bars are great to carry around as an at least somewhat healthy snack, and they’re also great to chop up and use as a higher-quality alternative to chocolate chips, or for chocolate-dipped/covered foods. My qualifications for these bars are that they should be delicious on their own, but not overpower a recipe they are used in. They should also be affordable as you may need a few bars for baking, and honestly, you don’t want to waste expensive / home-made chocolate if it isn’t going to play a central role in the recipe, or if it will be eaten by people who won’t notice the difference. This is one of my all-time favorite bars, because it smells and tastes amazing, has a small list of quality ingredients (including specifying what kind of sugar and vanilla was used), and can almost always be found for less than $1/oz ($2.50-$3.50 for a 3.5oz bar) in many grocery stores. My go-to for emergency calories and baking. While this is only a 60% bar and thus falls firmly below my personal “sugar crash” line (about 70%), this bar is a) really really tasty and b) really really cheap. Each 3.5oz bar costs $1, or 3-for-$2. This is great for baking due to its cost, especially for a crowd that doesn’t have a taste for something as dark as Lindt’s 85%. This is another excellent 85% bar that is half the price of the Lindt, and is perhaps just as excellent. It is a single-origin bar and is on the fruitier side with notes of banana. This is a very delicious dark chocolate bar with just the right amount of cocoa butter added. It gets bonus points for being organic, fair trade, and also for sourcing a single-origin sugar (Paraguay) which I've never seen before. Gnosis makes organic raw (unroasted) chocolates, now sweetened with coconut palm sugar. Their Mayan Heat is not shy with the cayenne, and also has noticeable cinnamon, nutmeg, and vanilla. It is also sold, very appropriately, as hot chocolate mix. This bar also contains hawthorne, which I hadn’t heard of before, but has some purported health benefits and is perhaps the mystery flavor lurking in here that I’m not familiar with. Rather on the expensive end, but a good treat. This bar has a fun texture due to added cacao nibs, and the chilies add plenty of spiciness. Plus, it’s organic! Raspberries are my favorite berry (aggregate fruit? ), so it’s perhaps no surprise that I picked a raspberry bar. However, it is the only /good/ raspberry chocolate I’ve found, and there are a lot out there. I like this one because it contains actual raspberry chunks, as opposed to a sweetened/artificial raspberry puree that is often encountered. While I also love blueberries, I didn’t find the same brand’s blueberry bar to be quite as special. Theo Orange (70%, $1/oz) This is one of my friend’s favorite bars, and is great if you like orange and dark chocolate. Its merits also include its organic status, and its reasonable price of $3/bar. There are some categories I wish weren’t missing from this list, like “best coconut” and “best nut” bars, but I haven’t tried any of either I’d buy again. If you have any favorite chocolates, please do share and open my field of cocoa awareness! Coming up, I’ll go over making chocolate from cocoa powder and cocoa butter, and finally from bean to bar. This entry was posted in Uncategorized on November 24, 2012 by Mike Rooney. More specifically, there were a few activities I wanted to spend more time doing: cooking, climbing, yoga, and Zen practice. This entry was posted in Uncategorized on July 2, 2012 by Mike Rooney. Amazon gives you a domain which serves your Bucket, which you can then create a CNAME to from any of your domains. Now, for very literally pennies a month, you have 99.99% uptime and 99.99999999% durability on your files, fast bandwidth, all without a single server or process to worry about. Enjoy! This is the technique I’m using to host zazen.rowk.com, and it costs me $0.01/month (yes, one penny). This entry was posted in Uncategorized on June 24, 2012 by Mike Rooney. While there’s technically a limitation in the DNS specification that says domain apexes need to be A records, it is often desirable to be able to point it at another domain, and I wanted to break the common misconception that this can’t be accomplished. The simplest case is that you have a “naked” domain such as example.com that you want to forward to www.example.com. While you can’t use a CNAME for your apex, you can indeed accomplish this forward in practice. I don’t mean to imply that there’s a magical way to have a CNAME for an apex (though with the last AWS method, there kind of is), simply that what you want to achieve is doable without pointing your apex directly at application web servers. If all your want is to have example.com go to www.example.com, there’s a free service called wwwizer that does this for you. Simply set your apex A record to 174.129.25.170. That’s it! It’s really that simple! You can do what wwwizer is doing yourself, and handle more cases than an apex going to www, so let’s look at how that works. If you curl a domain using wwwizer, you’ll get an HTTP 301 to www.thatdomain.com. So all that wwwizer is doing is using the host variable you send it when you request thatdomain.com, and doing a 301 redirect to www.thatdomain.com. If you want more than a simple apex to www forward, you just need to create a map of the domains to the desired CNAME, and you are good to go. You can even still use DNS for this, so you have a single source of truth, by using DNS as a key-value store. All you need to do is point your apex at an IP (or set of IPs) that have a server configured to perform the appropriate 301s. At this point you might be complaining that having to maintain a static IP is what you were trying to avoid, and that’s fair. But it is important to note that the A record(s) you use for your apex don’t have to run your application, so you can simply throw nginx/apache on a service you already keep highly available on a static IP (puppetmaster, internal DNS servers, et cetera). This allows you to use a perhaps more stable and less ephemeral set of IPs than web server IPs. Plus, multiple domains / applications can share this server. And remember, if you just need naked -> www redirection, just use wwwizer instead of worrying about this yourself. If you are using AWS, they support mapping a zone apex to an Elastic Load Balancer (ELB) via their DNS provider Route 53. So this means even as your load balancer is transparently replaced or scaled up and down, you don’t have to worry about the IPs involved. This entry was posted in Uncategorized on May 1, 2012 by Mike Rooney. I’m rather new to EC2 (and as a result its CloudWatch / Auto Scaling features), so I figured I’d post about my current thoughts and see if anyone can tell me if I’m on the right track! I’m writing everything up as I go, so hopefully it will make a solid blog post for others in the future for going from zero to EC2 + Auto Scaling. Any yays or nays on this stack? One particular curiosity I had is if Mathiaz’s guides would be simpler in Maverick, since they were written for Lucid and it seems like each release brings improvements for both EC2/UEC and Puppet. I’ll also have to figure out how to put some of the roles behind a load balancer, but that’s for later. Thanks for any suggestions! Once I’ve got it all figured out I’ll put up a somewhat comprehensive guide, unless one already exists that I’ve missed. This entry was posted in Uncategorized on December 21, 2010 by Mike Rooney. Is Intel the answer to Broadcom wireless problems? While I love my Dell XPS 1330 as an Ubuntu laptop, I’ve been growing quite tired of my Broadcom wireless card that came in it (I swore it had Intel wifi when I bought it). It requires downloading drivers to work (this can lead to a bit of a bootstrapping problem), and seems to frequently drop connections or have issues connecting. I’m assuming this is due to Broadcom’s poor drivers, particularly 64-bit (I remember kernel panics and lack of WPA2 in the not-too-distant past), and was assuming an Intel card would clear my problems right up. Has anyone had problems with Broadcom and fixed them by switching to Intel? If so, could you offer any suggestions as to if I might want the Intel 4965, 5100, or 5300 card? Thanks, dear Ubuntu Planet and other readers! Thanks for all the feedback! The consensus definitely seems to be that Intel provides a better experience, so I think I'll grab a 5300. Adding another success story with an Intel A/G/N card. Unfortunately, the Intel drivers do not yet use 802.11n mode. 4965 is nice as long as you're not on Intrepid (though that may have been fixed since then too). I have a Intel 5300 and it works absolutely superb. Only tested it with 10.04, but everything works out-of-the-box and reception seems very good. AP mode also worked with no extra setup. Packet injection to "test" WEP encryption will work as well with some patches applied. Buying a laptop from a Windows-oriented vendor like Dell is always a crapshoot. The presence of Broadcom wifi is the reason I will not purchase Dell's otherwise fine Ubuntu machines. I made sure that my current HP notebook had all Intel hardware when I bought it, but I think I will go with System76 or Zareason next time, if only for personal peace of mind. Also, it's nice to get a computer without funding Microsoft. I can only confirm your suspicion. My last laptop had broadcom 43something. One year a go I suffered lockups and dropped connections. My current laptop has intel 5100 which is pretty much rocksolid. a plus is that 5100 is capable of wirless-N. The Live CD quite happily loads bcmwl-kernel-source off the CD and installs a functional wireless driver. Yet even now, in Ubuntu 10.04, an installed Ubuntu is unable to find and install the same package. Getting a working Broadcom driver seems to require a wired connection, even though a complete package is present on the CD. Intel wireless generally works well, but unfortunately it always requires a non-free firmware blob that prevents adding features like AP mode. Fortunately they do have Monitor mode. ot my m1330 with intel wireless, no problem. Yes, Broadcom was kind of tricky but it worked fine at the end. However, when purchasing a laptop myself I made sure that the video and the wifi were Intel. Great choice, as they work out of the box. I have one of these with a 4965 and it's rock solid. I have had nothing but trouble with Broadcom cards - even when they work it seems to me they have poorer reception than Intel equivalents. I yanked the Broadcom that came with my M1330 out quickly and replaced it with an Intel 3945 ABG card and it's been flawless. I recently got a Studio 14Z which came with a Broadcom G-only card (which was the only option, is this 2006?) and it would work for a bit and then totally crash the closed-source driver. The STA driver worked a bit better, but replacing it with a 5100 AGN card was what really did the trick. Worked great. Sadly I had to return the 14Z because Dell's stupid site doesn't tell you that you don't get WWAN antennas unless you pop the extra $50 for custom case color, but I'll likely get another one soon. This entry was posted in Uncategorized on April 26, 2010 by Mike Rooney. As many of you surely know, Dropbox and Ubuntu One are applications to keep files on your desktop in sync across multiple computers, and backed up in the cloud. After using Dropbox for a year or so on Ubuntu, the Ubuntu One project came out and I thought I’d move over to it. I assumed it would be easier to set up, being pre-installed, and could integrate better with the file manager and other applications, being made specifically for Ubuntu. The nautilus (file manager) integration in Dropbox feels very mature and polished. Normally I’d say this is to be expected since Ubuntu One is much younger, but since the nautilus aspect of Dropbox is open-source, there didn’t seem to be much of an excuse for the Ubuntu One team to not use it as a starting point or at least as inspiration. Whenever I added files to my Ubuntu One folder, no matter how large or how many, they instantly had the checkbox emblem which implies to me they are in sync, even though they couldn’t possibly be uploaded that quickly. In Dropbox, the files show an animated progress emblem until they are actually uploaded, and show this again when they are being updated. I wasn’t able to trust the status of files with Ubuntu One, and that wasn’t a good feeling. Sharing files in Dropbox is also a lot easier via Nautilus, but that deserves it’s own point. In my typical use cases of file sharing, I want to go from having a file in mind to someone else seeing that file as quickly as possible, be it in an instant message, chatroom (IRC/Jabber), or email to a friend or two. Dropbox makes this a breeze; drag a file into the “Public” folder in your Dropbox directory, and right-click on it and select “Dropbox > Copy Public Link”. Now you have a publicly accessible link to your file in your clipboard! I never quite figured out how to do this in Ubuntu One; it seems you have to share files with specific people who also are running Ubuntu One (which really compounds the non-cross-platform issue) via the web interface by typing in an email address. This is a cool idea, but seems way over-engineered as a starting point. This was even brought up at the last UDS in an Ubuntu One session but was brushed off; they sadly seemed more interested in engineering complex sharing UIs than getting feedback to ensure they were solving actual problems. I think bug 462747 is what ultimately drove me to drop Ubuntu One. It notifies you not once but twice for every file you change; once to tell you it is syncing the file and another to tell you it is done. Regarding the first notification, I probably already know that I changed that file; regarding the second, if I’m really curious about the status of the synchronization, a quick glance at the applet should tell me what I need to know. This was mildly annoying as is, but it does this for hidden files like vim swap files too. Every time I would open or save a file in vim (and I save early and often), I got two notifications about syncing the hidden swap file! Dropbox was much more sane regarding notifications; whenever I would turn on or sit down at a computer, it would show one notification telling me how many files it synced from other machines or, if there was just one changed file, the name of it. Beautiful! The web user interface for Dropbox felt a lot easier to use, and I often had problems where the Ubuntu One web view would show deleted files or not show files I knew were there that were added days ago. Sometimes I had to collapse and expand a folder a time or two to get it to show the right contents. This led to a similar problem that I mentioned with the nautilus integration; it wasn’t a UI I could trust to be accurate as was therefore essentially useless. The Dropbox UI was always accurate, and had some nice extras which could prove to be lifesavers like getting past versions of files. I also experienced some other issues including bug 498444 which caused Ubuntu One applet to start up with the exclamation icon, giving the impression of not syncing files. If I wanted to edit or view a file that might have changed remotely, I had to manually tell the applet to try syncing again after startup to make sure the file was latest version (or else I could silently end up with .u1conflict file, but that’s another issue). Additionally, although the transparency is praiseworthy, all these tweets about recent issues or downtime do not inspire confidence. Ubuntu One does have a few things going for it, however. It is installed by default which means it is the easiest cloud sync/backup solution to get started with for an Ubuntu user. And thanks to CouchDB and a package manager, Ubuntu can ship applications that make it trivial to sync their data with Ubuntu One out of the box. If I can tell all the applications I care about to sync with Ubuntu One (bookmarks, notes, podcasts, basic OS settings/appearance) from one configuration UI, that’s going to be pretty compelling. While I currently can’t in good conscience recommend Ubuntu One to a friend (and plenty of my friends don’t even use Ubuntu), I do have high hopes for the project; it is young and if they can work out some of the above issues, many of them being personal show-stoppers, while providing application and OS integration, Ubuntu One (and perhaps Ubuntu itself) could become too compelling to not use for many people. For now however, Dropbox is the solution which stays out of my way, allows me to solve my problems, and just works. If you are using Ubuntu One or Dropbox, certainly chime in on what the critical features are for you and why you chose one over the other! 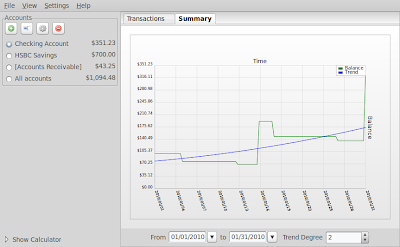 Update: There are now Windows beta versions available of UbuntuOne and UbuntuOne now has a graduated price structure. $2.99 per month for everyone 20GB of space needed or $29 a year. Its working very nice on 10.10 Maverick. I agree with all your points. I had a similar experience, but I used Ubuntu One even less before I got sick of it. My main problem, though, was lack of cross-platform ability. I don't only use Ubuntu. I don't even only use Linux. If Canonical ever ported Ubunutu One to Windows and OS X, I might consider using it again. The proprietary nature of Dropbox does bother me, but then again, I have Flash installed, so how bothered can I really be by it? A note: Dropbox does have other notifications, and they are incredibly useful. If a file changes in your Dropbox on another computer, it shows you a notification when the new file has synced to the one you're currently using. That's great for me, because sometimes my home computer might be working on a file in my Dropbox through some cron job, or something, but I'll be at work (on a Mac), and it's great to have a little Growl notification saying such-and-such file has changed on Home. I was just checking the web to se if others had the same issues with ububtu one as myself… and found your post. I probably lost a Lazarus project where the sources were under my ubuntu one folder so that I could easily work from different locations (single user) and have the updated version everywhere. Now I found myself sorting out .conflict files manually to try to rebuild the "latest" version. I switched from db to u1 because I expected better integration and rather wanted to give my money to canonical. The reliability has steadily improved (I run the daily builds) but all the issues you point out are correct. I have been very disappointed that the service is so inferior to dropbox. I recently switched to Dropbox as well; my main problem with Ubuntu One were the .conflict files appearing for no valid reason (I was careful to sync before changing between computers, but I always had to double-check and then manually diff the conflict files); that problem is gone since I switched. Lack of symlink support (wishlist #386019) is also a bummer: with Dropbox I don't have t change the way I work, or where I want my files to be. I have to say that the cross-platform nature of Dropbox is the major win for me. Much as I'd love to be Linux on all devices, fact is I have Windows, Linux and OS X devices (and an iPhone) and Dropbox just works on all of them. I can't yet see the point of Ubuntu One. Free account. I think with the free account there are limitations on how many revisions are stored, but something like 15 or 30 days worth. I also do my own backup with a Drobo, but for certain docs which I need regularly the web interface comes in real handy. Are you a paying DropBox customer now or just using the free account? It's been a little while since I've used Ubuntu One, but the last time I looked at it you could not revert back to an earlier version of a file or folder the way you can from the Dropbox website. Is this still the case? This is a big reason why I've not switched from Dropbox yet. If I mess up a file, or if I accidentally delete it from one machine, I would like the ability to bring it back rather than having those changes propagated to the server and all my other machines as (I think) is currently the case with Ubuntu One. Dropbox client is also cross platform (Windows, Mac, Linux, iPhone, and Android coming soon). Right now this is a huge one for me. I only have two Linux machines synced at this point, but what if I wanted to sync a Windows machine with Ubuntu One I'm out of luck. I would like to add that Ubuntu One is much slower at least from my city São Paulo, Brazil. So Ubuntu One is a poor Dropbox clone. Shocking. Now imagine if they had decided to open source the server from day one. That would have bought them marketing time to make the product rock, as opposed to the poor Dropbox clone stories that keep running around. Thanks for the update Stuart, that's great to hear! I'll definitely be following the progress of Ubuntu One and as I hopefully implied I won't be surprised if (and in fact I hope that) one day I'll switch back. "I never quite figured out how to do this in Ubuntu One" – that's because, right at the moment, you can't give a file a public URL. This is coming in Lucid – we've been working pretty hard on it since UDS, and it'll be available with the 10.04 release. Ah, so you haven't suffered connectivity problems then! I frequently find myself where the applet has "disconnect" as the menu item, but the folder has "connect" (which does nothing). It seems that hibernates and suspends confuse the heck out of everything and nothing short of a reboot fixes it. I've also had the case where it most definitively is not connected yet somehow claims that the files are all up to date - something that is not true. My view is that Ubuntu One is at best beta quality whereas Dropbox left beta long ago. This entry was posted in Uncategorized on February 22, 2010 by Mike Rooney. Your favorite personal finance application, wxBanker, has turned 0.7! On the right we have the new account chooser in 0.7. The main change is using radio buttons for the accounts instead of links. This is a much better, already understood method for choosing accounts, and will also fit in with themes better. The last item is now “All accounts” and is selectable, making it easy to get a view of all your transactions and search in them. The “Hide zero-balance accounts” option has moved to the View menu, and now has a keyboard shortcut. I’ve also removed the total number of accounts from the header, as well as the colons after the account names, to reduce clutter. Finally, everything has been given a bit more padding and the buttons have been slightly rearranged. The Summary view allows you to see a graph of your balance over time, and you can view a graph of a specific account or all accounts by using the account chooser on the left (previously the graph had its own account chooser, that was silly!). And in case you missed the 0.6 announcement, that version brought recurring transactions, XDG directory support, and more intuitive behavior regarding deleting/editing transfer transactions. For downloads and the full list of features and bug-fixes, check out the release page. You can also add the PPA for easy installation and upgrades. If you’d like to stay in the loop join the wxBanker Users team (and announcement mailing list) on Launchpad, follow wxBanker on Twitter, or hang out in #wxbanker on irc.freenode.net. I like the message panel idea. That sounds like a perfect way to do it. Forest: That seems like a good idea. Can you think of a good way to fit this into the flow without some sort of modal pop-up? What would account creation look like; would this be required or just simpler to do? Maybe using a message panel (as used when creating recurring transactions) to say something like "Your account has been created." with a button "Add initial balance", that enables a box an amount field next to it, where you can enter it and it will enter the transaction with date today and description "Initial balance"? Why don't you just have it query the user for an initial balance every time they create a new account and then automatically create the transaction representing that initial balance? This is consistent with the way you're suggesting users use the program, but also more intuitive. Hi Anonymous! Once you create the account, just add a transaction representing your initial balance via the controls on the bottom, just like you would in any sort of ledger. Then add transactions from there as they occur! Do you have any suggestions for making this more intuitive? I'd love to hear any of your suggestions! This entry was posted in Uncategorized on February 7, 2010 by Mike Rooney.